You just want to have it on a hot summer day, with plenty of ice and soda, lemonade or ginger ale. Or freeze it for a quick, sharp burst of apple-freshness..
Color Colorless, bright & polished. Nose A beautiful & powerful aroma of freshly grated, slightly under ripe granny smith & red delicious apples,with a very subtle spirit underline; a mouthwateringly enticing aroma. Taste Opens up considerably drier than expected considering the aroma; the liquid is undeniably DANZKA; soft, with a touch of grain. The initial alcohol opening quickly leads way to a beautiful medley of granny smith, golden delicious and other apples. 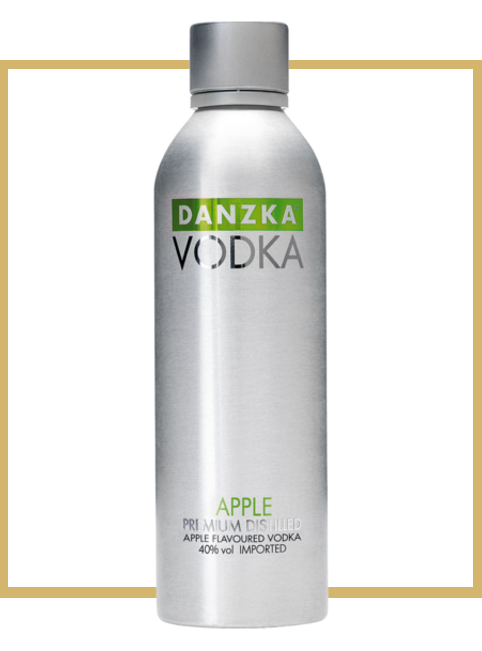 Finish While being completely forward with the apple flavours, the entire mouth feel still carries the DANZKA signature. The apple slowly gives way to slight licorice sweetness with perfect pepper & grassy undertones! The finish is completely soft with practically no alcohol burn; with an apple taste that lingers around.